Quitting smoking can be a daunting task, but there is no need for reminder as to why smoking is considered so deadly. If you knew that there was one simple trick to help you in your smoking cessation efforts, you would certainly give it a try, right? There is now some hope, based on science for those who are likely to suffer from the disruption in lung function association with not quitting smoking. But smoking cessation efforts can be difficult to stop, because gums and other methods can be off-putting for any number of reasons. But science is now showing some results with the simple act of gargling with lemonade. 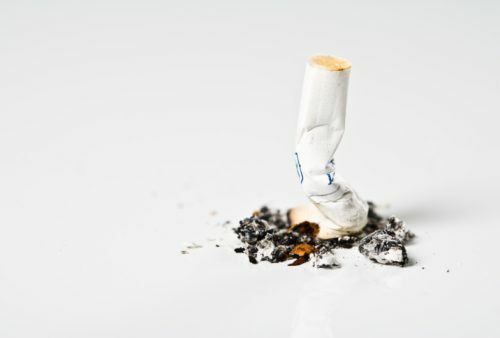 The brand new study has experts looking at quitting smoking in a whole new light. Apparently, the interaction of sugar (glucose) with the tongue boosts attention, energy, and self-control. This is said to be a great method for curbing the urge in the short term. The key being that it’s not like you can do it once and expect to never smoke again, but also that the solution must have sugar in order to work. Experts say they took a group of smoking students and gave them a self-control questionnaire. The students were asked to complete a series of tasks which tested their quitting smoking potential, and involved self-control tests, as well as energy tests before and after taking a swish from a glass of lemonade. The results were very interesting, because not only was sugar laden lemonade used, but so was artificial sweetener and the results differed significantly. Results showed students who rinsed with sugar were faster and more energized when the responded to the various tests presented. Whereas the test group that used the artificial sweetener didn’t achieve the same levels. Experts say the science behind this is that sugar gives you the energy required to have self-control and this can be an invaluable asset in quitting smoking, and smoking cessation efforts – after all the long term effects on lung function can be devastating, so any study could mean big things for the future of the smoking battle and increase of lung function. RELATED READING: Harvard: Cut your risk of heart attack by half? The researchers say that the simple survey came up with very simple results. What happens is that the glucose stimulates the simple carbohydrate sensors on the tongue, and this stimulates the area of the brain that motivates self control. What this does is essentially tell your brain to pay attention to the craving, which makes you a lot more aware of your unsuccessful efforts at quitting smoking. Those who conducted the study say that the research is not clear when it comes to the long term effects, but do see the immense possibility of using this as a method of short term craving control which can be of a huge long term benefit to lung function. The glucose provides an automatic response, which allows smokers the freedom to say no, at least for a while. This can be a huge asset when it comes to setting the short term goals necessary in smoking cessation efforts, in hopes of improving lung function as a whole.